Canada is designating Cuba an “unaccompanied post” — meaning diplomats’ families will not be allowed to live with them in the country during a posting — because of new information about mysterious symptoms suffered by Canadian and U.S. diplomats and their families. 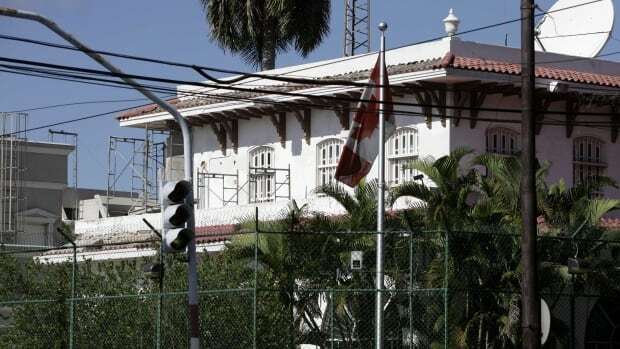 Canadian diplomatic staff in Havana were informed of the decision Monday morning. The federal government has made arrangements to bring family members home in the coming weeks. Ten Canadians in Cuba have experienced symptoms — including headaches, dizziness, nausea and difficulty concentrating — according to government officials who briefed reporters in Ottawa Monday. A new report by a Canadian medical specialist raises the possibility that some of the Canadians have experienced a “new type of possible acquired brain injury.” A senior government official said that this injury is new to science. “The cause remains unknown but could be human-made,” said a media release from Global Affairs. Dr. Douglas Smith, director of the Center for Brain Injury and Repair at the University of Pennsylvania’s Perelman School of Medicine, has evaluated 24 affected Americans and found their symptoms similar to those of a traumatic brain injury. ​”The biggest complaint of all was cognitive dysfunction,” he said, explaining that people he examined were slower to process information, struggled with memory, and found it difficult to find the right words when writing or speaking. The RCMP is investigating the illness reports. Some of the affected Canadians are minors; officials did not say how many, citing privacy considerations. Canadian diplomatic staff and their families don’t live together in any kind of housing compound, which closes off one possible avenue of investigation. There is still no clear explanation for the illnesses. The government says theories about sonic attacks and forms of illness with psychological origins have been ruled out. An environmental assessment conducted April 4 found no suspected causes. The most likely explanation appears to be medical, said a senior government official. The government said it has seen no indication that Canadian tourists in Cuba are at risk. Staff members at the embassy will be given the option of postings elsewhere. The decision to pull family members from the Canadian embassy comes after months of reports of mysterious illnesses afflicting foreigners in Cuba. As of this month, the American embassy in Havana has just ten diplomatic staff left after the United States pulled out the rest of its people following what it described ominously as “sonic attacks” on staff members. Affected U.S. embassy employees reported hearing painful, high-pitched noises in very specific areas of their homes. Canada already maintains multiple unaccompanied diplomatic posts around the world, including those in Kabul and Tripoli.